Walking out of the Ölgii “airport” a feeling of remoteness came over us that we hadn’t experienced, even with the places we’d been so far on this trip. Outside of the small parking lot, it was just nothingness. And unfortunately not the lush, green, grassy hills of nothingness we’d hoped for. 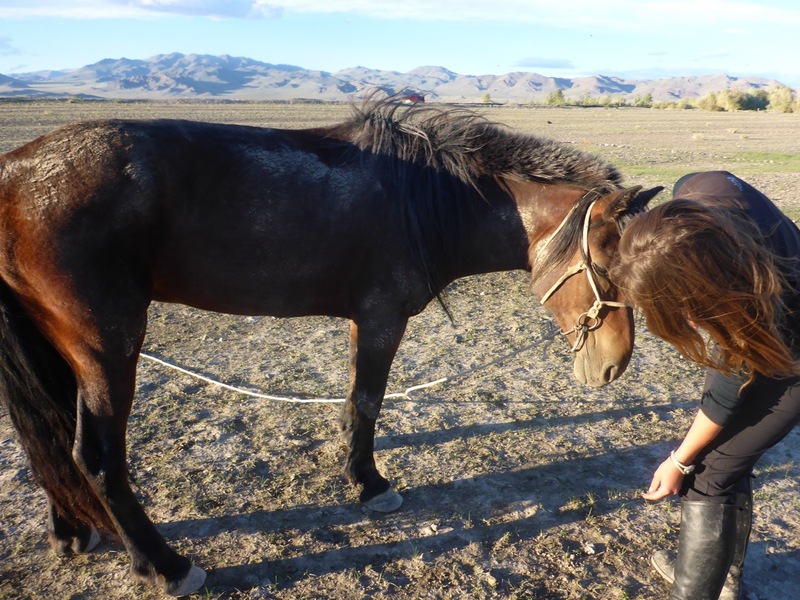 The next day we found a name and phone number of tour guide that we thought might be able to help us with our dream of buying horses in Mongolia and riding across the steppe. We called and were told they would meet us in thirty minutes. 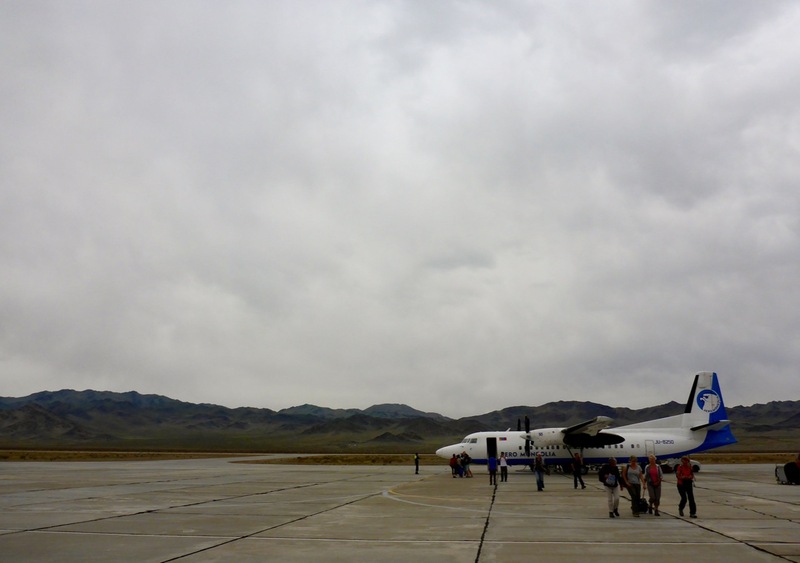 This was our introduction to Nazca, and how things get done in Mongolia. We were shocked, didn’t she need more information about what we wanted? Didn’t we need to figure out where we were going? Well we assumed she was just going to get some information, maybe feel things out with people we could talk to about horses. It was nothing like the other market, there was virtually nothing. 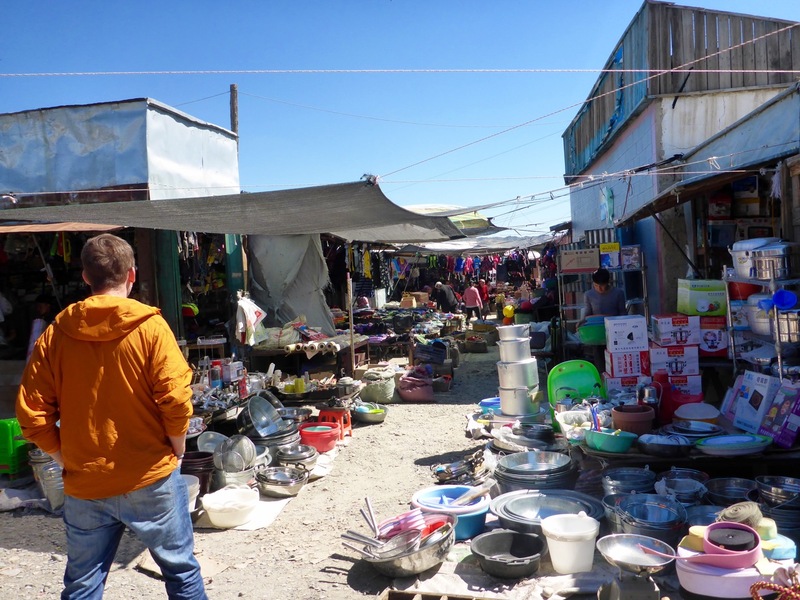 Even once it was open and full swing it wasn’t anything close to the UlaanBataar Black Market … unless, of course, you need some pots and pans or kids clothes or something like that. We knew we were in trouble. 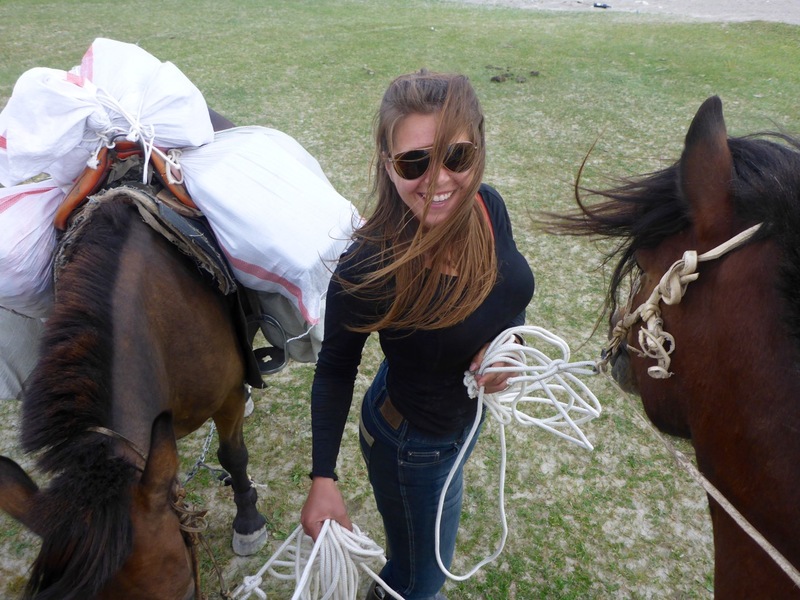 By noon, we got a call from Nazca, in broken English, to come to her place. 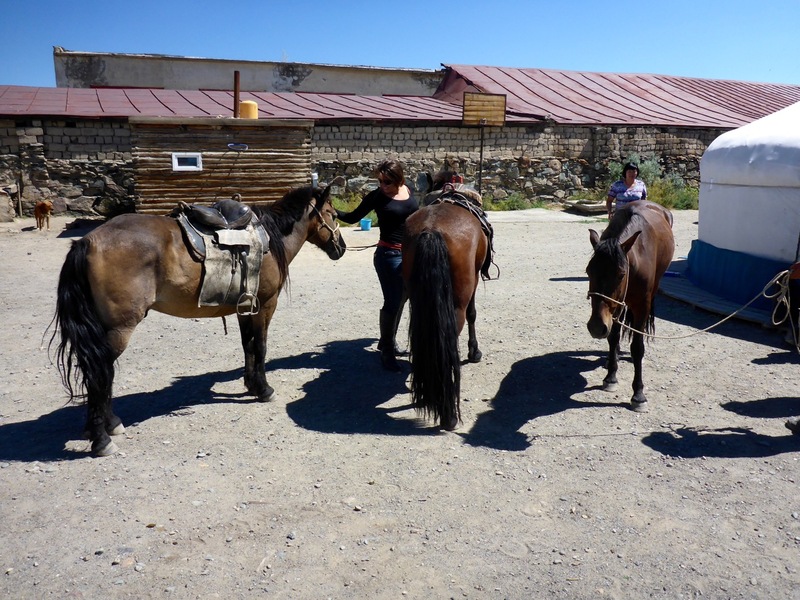 As soon as we walked into her ger camp, a man left to retrieve three horses – what the?!? HORSES?! 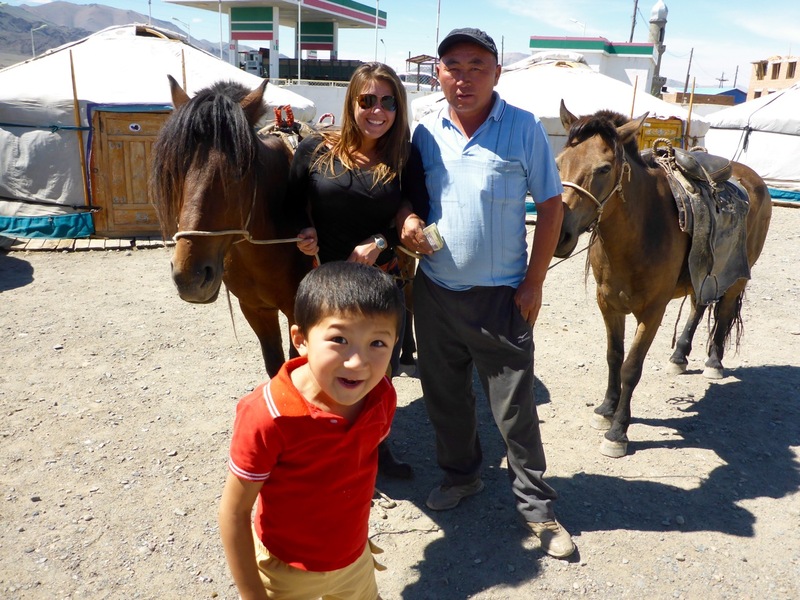 This is happening … We’re buying horses in Mongolia! We aren’t ready for this! 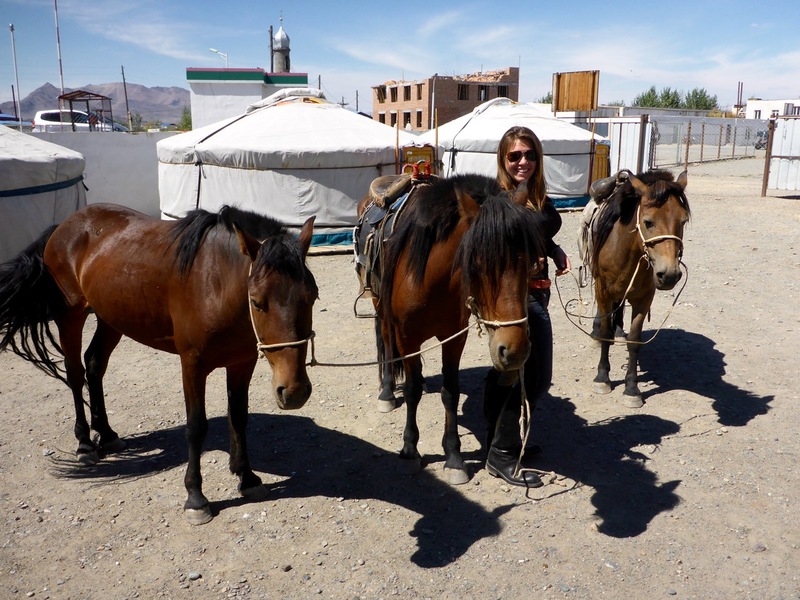 We thought she was just going to talk with us more about where we could ride, how to go about getting supplies, maybe try and sell us on a tour … no, she had gotten horses. Things were happening so fast around here! 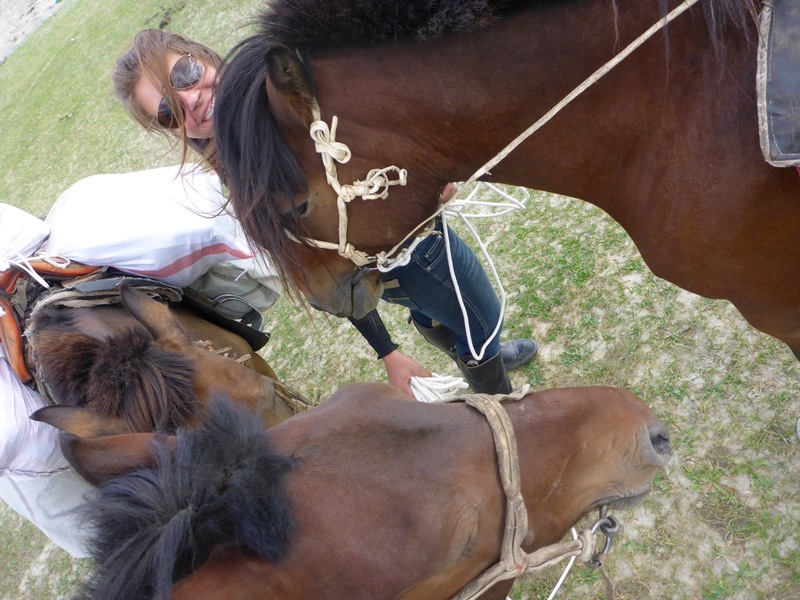 I examined the horses, they looked really healthy. I hopped on the first one, trotted him out of the gate, cantered down the road – he rode great. And it was the same with the next two. 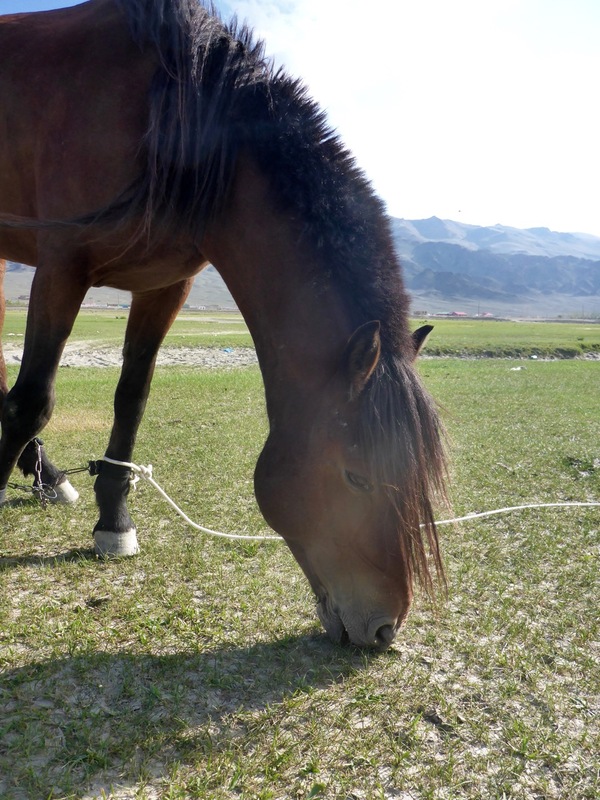 We had been told that it was hard for foreigners to find good mounts to buy in Mongolia – locals would only sell them their worst horses that were old, malnourished or way too wild. We decided it was too good of an opportunity to pass up, so we started negotiating with the family, and settled on a good price – ₮3,000,000 Mongolian Tugrik (about $1,500 US). But we had a problem, we still didn’t have any saddles, or supplies, or hobbles, or bridles, or really any idea exactly where we’re going … and we were staying in a hotel … and that hotel doesn’t really accommodate horses! We got them to agree to keep them for one more day and we could pick them up tomorrow. For the next 24 hours I think I ecstatically yelled “OH MY GOSH!!! WE OWN HORSES!!!! !” about every five minutes! It’s impossible to capture here in writing how thrilled I was, but ask Rick sometime and he’ll recount the ridiculousness. They were beautiful bays; we posted the pic on Facebook and asked for name suggestions. A couple people suggested naming them after some of our favorite places we’d been, and a couple more reminded us that you have to see their personalities before you name them. 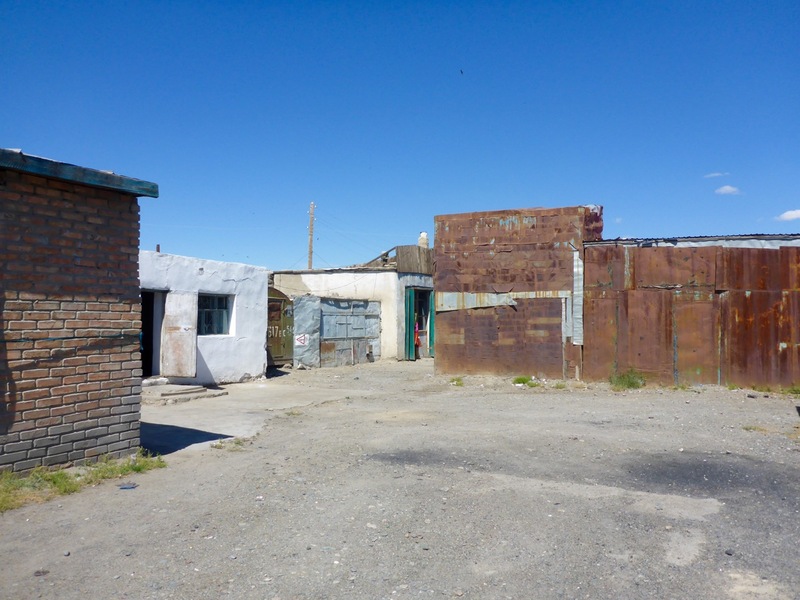 We spent the rest of the day and most of the next morning gathering what tack we could find, buying a 3 week supply of food and with Nazca’s help, plotting our trek out on an old Soviet era Russian map. When we picked them up we started to see their personalities. I knew as soon as I met him that I would be riding the stallion. They said he was the most difficult and spirited, so he was out for being a packhorse or Rick’s horse (sorry “Prude Dude!”). He was also the most beautiful, so I was thrilled. He was noble, and gorgeous, and freaked out at every little thing … I mean every little thing, if we rode past a green beer bottle, over a bridge, by a strangely shaped rock, he spooked. My favorite was when he spooked as we rode past a pile of cow poop. He was named after one of our favorite Chilean cities, Valparaiso and I called him Valpo for short, as they do in the city. Our packhorse got the name Pokhara. It was one of the first towns on our trip. It’s in Nepal and a super chill, calm place. Pokhara was our calmest horse and it seemed to suit him. I remember the first day we were in Pokhara, Nepal, a guy at our guesthouse who had been there for three months, emphatically told us, “Don’t get sucked in! 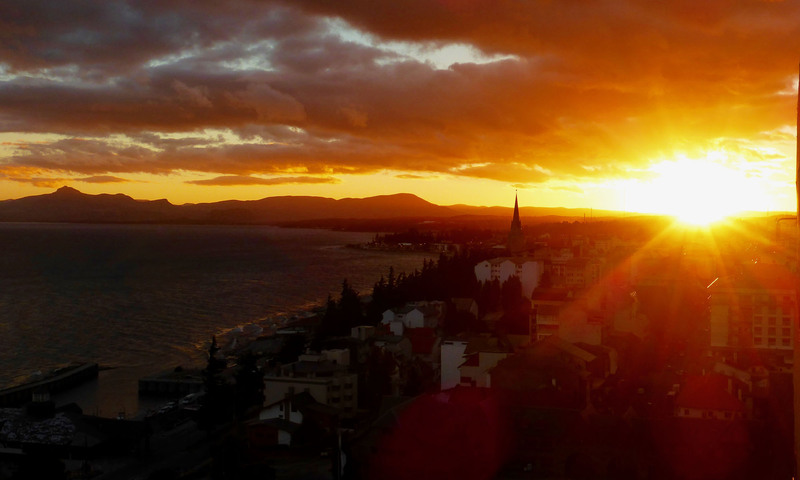 !” – he had only planned to be there for a week. It was an easy place to want to stay forever. And finally, Rick’s horse. He was steady and reliable when you were riding, but seemed to have a bit of a split personality when you weren’t. He was the most affectionate of the three, but then sometimes he wanted nothing to do with what you wanted him to do and would be a total pain. We thought about places we’d loved that were difficult sometimes, but close to our heart and we know Kajo Keji was the perfect fit for him. Kajo Keji is in South Sudan, where we worked with Seed Effect. It was a hard place in a lot of ways, but some of our favorite moments from the trip happened there. We called him Kajo or KK a lot. We struggled to find saddles, bridles, hobbles and gear. And unfortunately got stuck buying stuff that was broken or barely working. 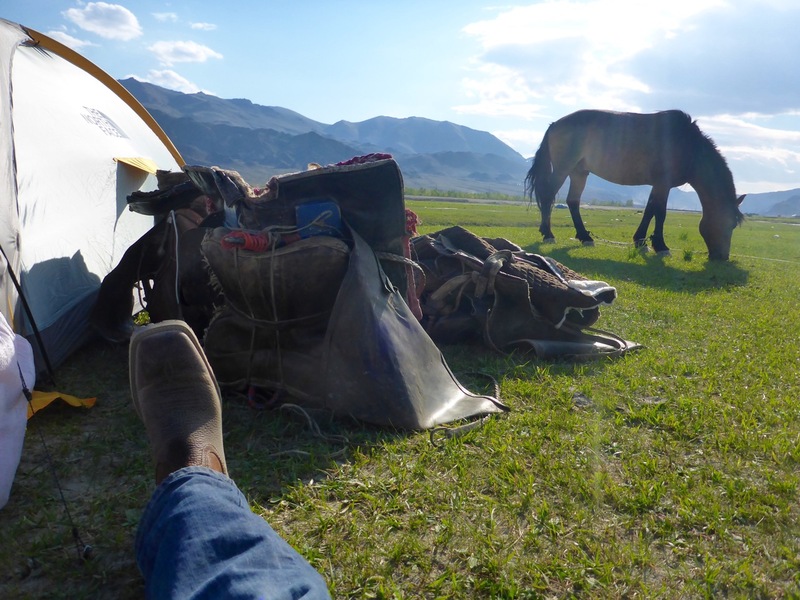 It wasn’t ideal, but the next day we saddled up our mounts and headed out for our adventure. Would be lovely If you could help!